In September, 2008, a 40 foot container was packed with food stuffs, school supplies, wedding dresses, various other items, ONE JUMBO SOCCER BALL along with 400 of the #5 Energia soccer balls, and hundreds of Gospel tracts that went along with the soccer balls. Deeper Water Ministry in Kansas City, MO, undertook the project to send the container to Zimbabwe, East Africa. It arrived at its final destination at Christmas. Tatenda and Lucia Gunguwo took possession of the shipment on its arrival. They head up a children’s orphanage of 6,000 children. Most of these children are without parents due to AIDS and HIV. In September of 2009 Mike had the privilege of meeting this couple in Kansas City, MO. The couple shared many stories of their experiences with the soccer balls. First, the colors on the soccer balls are the same colors on the Zimbabwe flag. The use of the soccer balls brought families and villages back together through the use of soccer games and tournaments. People of all ages were ministered to as it was the only form of entertainment. Also, many people put their faith in the Lord as a result of this ministry proclaiming the Gospel. 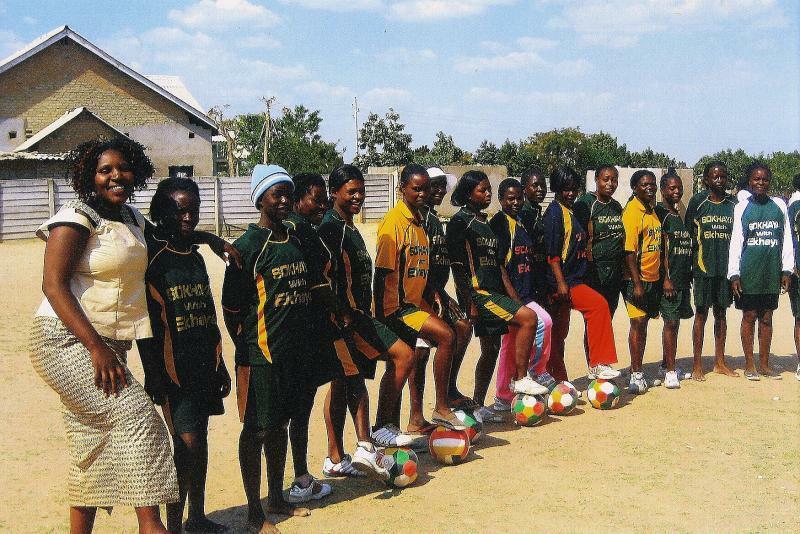 A girls’ soccer team was formed, and it gave them “purpose, meaning, and hope.” One member of the government parliament who had been hostile to these people saw the soccer ball and wanted to know where they got it. He was told “the church” and he is now a friend of the church. Tatenda and Lucia have many needs in their ministry in Zimbabwe. They are praying for 5,000 soccer balls to use to minister to their part of Africa during the upcoming World Cup 2010 in South Africa. Check out our video interview at www.childrensevangelisticministry.org. Go to the Links section. Many thanks for the support of our work and ministry to the children of the world! God bless you MIGHTILY!